Credit cards can be used for cash just like an ATM. This isn’t what credit cards are traditionally used for though. They allow consumers to buy now and pay later, so many people use them as a line of credit. You can spend as much as you would like on the card, staying within the card’s credit limit, and then must pay back the entire balance in full by a due date established by the credit card company. If you pay anything less than the full balance, interest charges will start to accrue. But for some consumers, the ability to purchase items isn’t what they need. Some consumers might be in need of a short-term cash injection. Credit cards can help in this situation, but there are plenty of red flags to watch for. Some transactions require money orders. A money order is similar to a check, except the amount of the money order is guaranteed because you the issuer add funds to the money order. The receiver doesn’t have to worry about the check bouncing, because the funds have already been added to the paper. If you finance your money order using a credit card (as opposed to adding your own cash to the money order) it will be considered a cash advance. Cash advances allow you to use the credit card like an ATM and get quick cash. But they are a very costly financial product and are littered with fees and sky-high interest rates. The typical fee is $10 or 5% of the cash advance amount. The greater of these two possibilities will be applied. For example, if your cash advance is $2,000, the fee will be $100. If your cash advance is only $50, the fee will be $10 because 5% of $50 is only $2.50 and that’s less than the $10 flat fee threshold. While those fees may not sound too bad, we haven’t even discussed the interest charges associated with the cash advance. The numbers above only represent the fees for the transaction. Each credit card has an interest rate, also known as an annual percentage rate. This can be as high as 15% or even greater if you have a poor credit score. This interest rate only applies to debt balances left on the card. 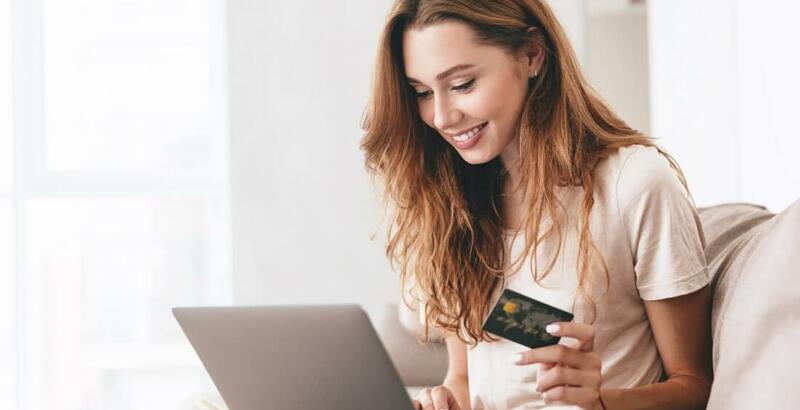 If you are only paying the minimum payment on your credit cards, which is only a small fraction of what you owe, this interest rate will kick in. It causes your debt levels to snowball quite fast. But this interest rate doesn’t apply to cash advances. The interest rate on cash advances is separate. It’s usually much higher than the interest rate that applies to debt balances. It could be as many as ten percentage points higher. Check the prospectus of your credit card statement, which will disclose the interest rate for cash advances. You can also call the credit card company to retrieve this information. Once your cash advance is issued, it’s on you to pay back this balance as soon as possible as the interest accrues immediately. You can also buy a money order with a cash advance – that is, use the credit card’s credit limit to finance the money order rather than your own funds. Keep in mind, the institution issuing the money order will have their own fees. That’s in addition to the fees and interest from the credit card side of the equation. Cash advances are extremely expensive thanks to high fees and interest charges. If you are living paycheck to paycheck and your rent is due on the 30th of the month but your next paycheck won’t be received until the next day on the first of the month, you are in a short-term cash bind. This is completely understandable. This is a scenario where a cash advance can help. Although you’ll have to swallow the upfront fee of $10 or 5% of the cash advance amount, you probably only have to worry about a day or two worth of interest. Once you receive your paycheck, you’ll have the funds to pay back the entire cash advance. Going forward, try to slowly build up your emergency savings fund so they next time you’re in a short-term cash crisis, you can tap from that instead of having to tap your credit card. It’s easier said than done, but even putting away $10 a month into an emergency savings fund will help. You have to start somewhere. The issue is if you are in a longer-term cash crisis. And you need a cash advance for various bills, such as rent, and won’t be able to pay back the cash advance for several months or even longer. See if your landlord will accept the rent on a credit card – the landlord may charge a fee for this, but it will likely be lower than a cash advance. It’s better to have to pay back credit card debt than a cash advance. If you are in need of cash, see if you can borrow this money from friends or family. Even if you have to pay them an interest rate. They’ll likely accept an interest rate much lower than a cash advance. This is a rate you can mutually agree on. Also, you probably have plenty of clothes and electronics lying around your house gathering dust. Start selling this items online – you would be surprised how much cash you can generate. It may take some time, but it’ll help with your overall financial picture.